The late Movement for Democratic Change (MDC) President Morgan Tsvangirai died a bitter man after Zanu PF and President Emmerson Mnangagwa dribbled him soon after the November 2017 military inspired power transition, his successor Nelson Chamisa has said. Speaking during the Morgan Tsvangirai memorial lecture in Harare today, Chamisa said the former Premier supported the removal of former head of state Robert Mugabe amid pressure from Zimbabweans who invaded the streets of Harare on the eventful 17 November 2017. “Mudhara Tsvangirai died a very disappointed man. Why was he disappointed, because he was betrayed by people who had agreed to have a transitional arrangement? They then went to elections without the reforms, without the transitional arrangement, this what our mother was saying,” he said. Elizabeth Macheka, the former Premier’s wife echoed Chamisa’s sentiments saying her husband supported the new dispensation power transition because he thought it was the birth of a new political dawn in Zimbabwe. “Morgan supported the new dispensation whole heartedly because he thought it was the beginning of a new era,” Macheka said. Chamisa poured cold water on the opposition succession tussle that saw former Vice President Thokozani Khupe breaking away to form a splinter movement, saying Tsvangirai assigned him to unite the party. To that effect Chamisa said Tsvangirai advised him to incorporate former Secretary Generals Tendai Biti and Welshaman Ncube back into the party. Macheka called for unity as a sign of respect to the party’s founding father, describing her late husband as a brave man who soldiered onto the last day in his fight for democracy. 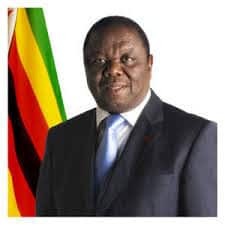 “If we want to offer Tsvangirai respect, let’s remain united, lets remain steadfast. Let’s not forget our party; MDC. It has people who died for it. It has people who started it. It has people who sacrificed their lives for it,” Macheka said.